Looking for something different - and healthy - to do on Saturday night? 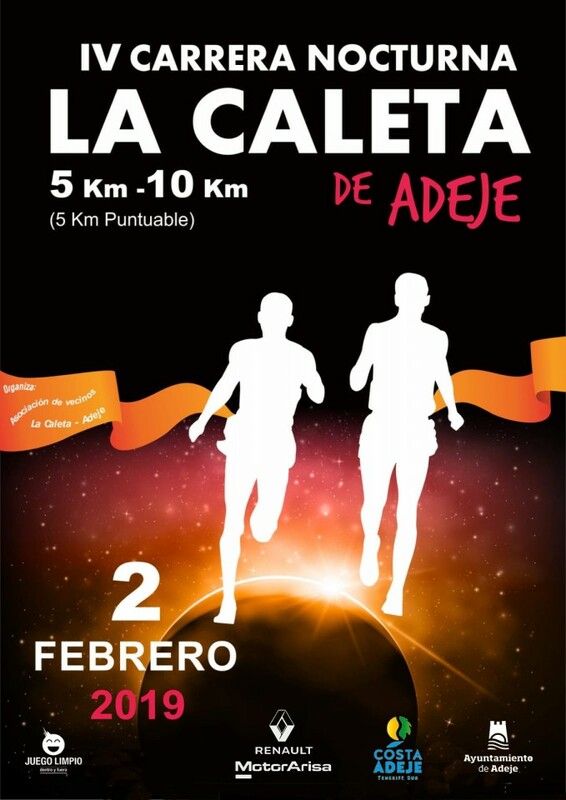 Then look no further than the lV Carrera Nocturna La Caleta de Adeje (4th Annual Nocturnal Run in La Caleta, Adeje) taking place this coming Saturday evening, 2 February 2019. There is a 2k run that starts from 7pm that is for kids to run with their parents. 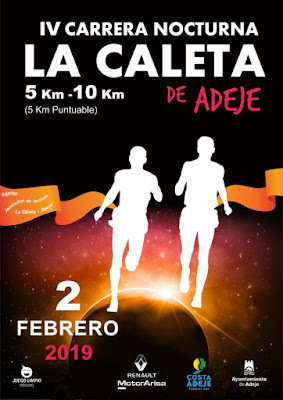 The adult runs, 5k and 10k, start at 8pm, although all are part of an all day event beginning at 10am and culminating, from 9:30pm with the prize giving and a paella for participants. For more information and registration, visit this page, or call in person at one of the TDC Sport shops in Adeje or Cabo Blanco.